Bittersweet days… saying “goodbye” is usually bittersweet. When I preached my last sermon at Raleigh First Church, it was bittersweet. Now, just a few years later and I’ve preached my last sermon at Decatur First Church. These departures were bitter because it’s difficult to leave a place that gets it: a place that truly embodies what it means to “be the church.” However, it’s sweet because God is calling me to a new ministry and I’m excited about it. At the end of the day what I walk away with is simple: I LOVE PEOPLE. It’s that simple: I love ’em. I love people in spite of their flaws, quirks, habits, backgrounds, age, skin color, social status… I don’t believe it’s my job to judge them, but to accept them wherever they are in life, and point them to Jesus. It’s my job to love them the way Christ loves me. At the end of the day, when it’s all been said and done, the only thing that matters is how well I loved God and how much I loved people. Actually, I’ve come to understand that how well I love people is a direct reflection of how well I love God. Over the years I’ve learned some beautiful things about love: (1) Loving people means believing in who they can become and helping them fulfill their potential; (2) Loving people means treating them with kindness and accepting them wherever they are in life; (3) Loving people means celebrating their success and helping them achieve greater things. Lift them up. Highlight their qualities. Often they can’t see it but you can, and you can illuminate it for them. Be genuine. Give people the real you. Tell the truth about who you are and how you feel about them. Listen to them. Learn to tell their stories. Don’t listen to decide if you agree or disagree. Listen to get to know what is true for the person in front of you. Live and let live. Don’t waste your time or energy thinking about how they need to be different. Their habits are their habits; their personalities are their personalities. Work on what you want to change about you, not what you think you should change about them. Give of yourself. That doesn’t mean compromise yourself. Take a break if resentment is building up and talk about it. Remember the Image of God. Everyone you encounter in life was created by God; they have a purpose and a destiny. Your job in loving them is to help them discover it. Respond to the call to love. If you want to continue growing as a human being, commit to never stop loving people. Establish this rule and live by it: Everything that I experience from another human being is either love, or a call for love. When you love people, it means that you know who you are in Christ, and you are acting on it. 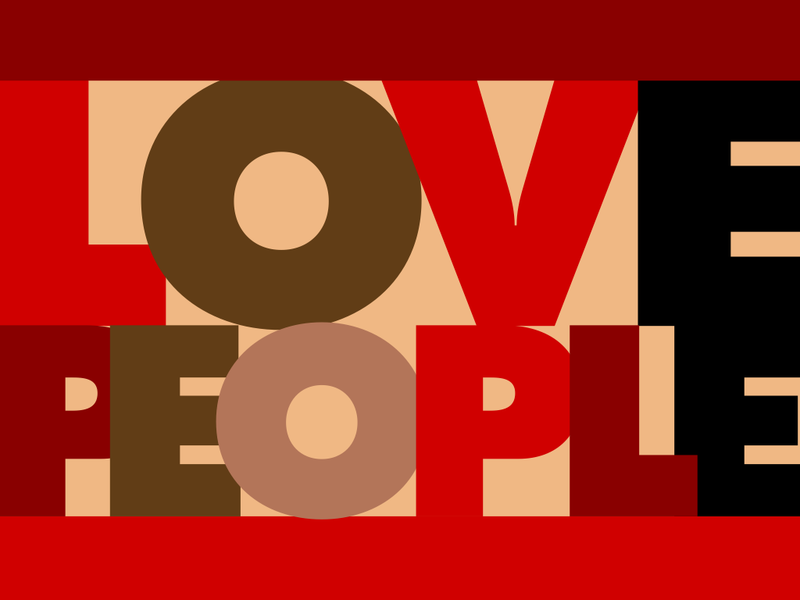 So love people regardless of who they are, where they’re from, or what they’ve done. Love people the way God loves you. There’s only one thing that will absolutely positively never fail: LOVE (1 Cor. 13). Go do it! Great Words lived by you.